CHRISTMAS WITH THE NELSONS tells the story of three family Christmases in the lives of America’s Favorite Family – The Nelsons. 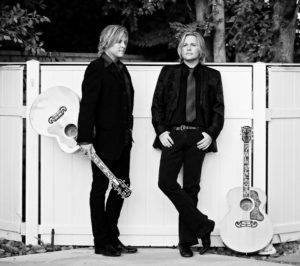 This heart-warming multi-media live concert experience stars the third generation of #1 Nelson Family hitmakers, Matthew and Gunnar Nelson. A genuine blend of Everly Brothers-style harmonies and Smothers Brothers-style comedy, multi-platinum recording artists Matthew and Gunnar have been thrilling sellout audiences world-wide for the past decade with their high-integrity Ricky Nelson Remembered show… and they’ve got a new gift for you to open. 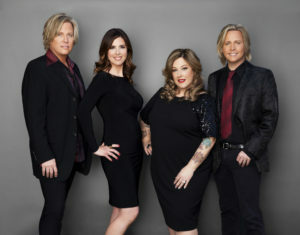 This is the Christmas show ALL ages of girls and boys have been waiting for.All new set of Classic Christmas songs… And Matthew and Gunnar Nelson at their very best…The entire Nelson Family invites you to celebrate… CHRISTMAS WITH THE NELSONS! The official authorized website of Nelson © 2019. Built by Wolfson Entertainment.